Prices are negotiable at these shops and it is an art to extract the best price from the seller. Browse places to stay in Kuta on Agoda.com. Free cancellation. Tactics used by the seller may include calling their mates over to have a laugh at your offer, telling you that they will go bankrupt, faking disgust at your offer and a range of other manoevres to convince you that you are off the mark. However, patience is usually rewarded with some very good prices. Kuta Square is the name given to the short road connecting Jalan Pantai Kuta to the Art Market and Jalan Kartika Plaza. It is home to a range of Western institutions such as McDonald’s and KFC as well as a range of surf shops such as RipCurl, Quiksilver and Billabong — for sale in these shops are a full range of authentic products at prices slightly cheaper than you might find in the West. Also in Kuta Square is the Matahari department store which is aimed at domestic customers, but is worth a browse as it is very cheap. The Art Market to the south of Kuta Square is simply a basic shopping market with very cheap clothing, handicrafts and locally produced knick-knacks for sale. It’s fun to look around and the excitement of the stall holders as you inspect their wares is entertaining. 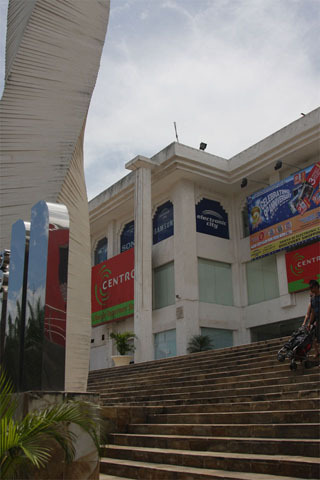 Further along Jalan Kartika Plaza is the enormous Discovery Shopping Mall, which contains Centro department store, a large range of Western brand name shops and a smattering of cafes. It’s an air-conditioned paradise after a long day pounding the pavement.